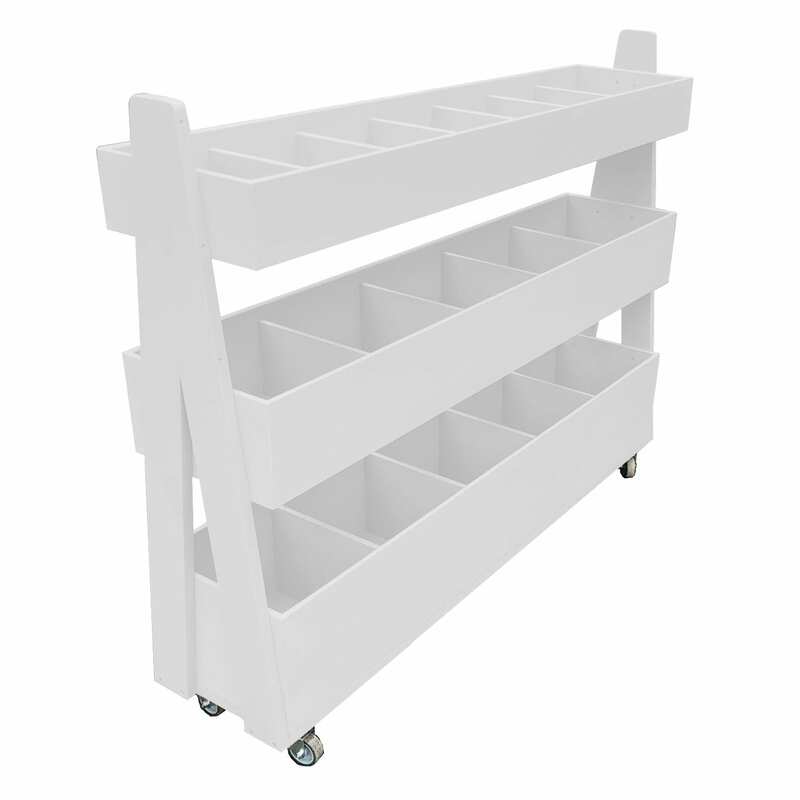 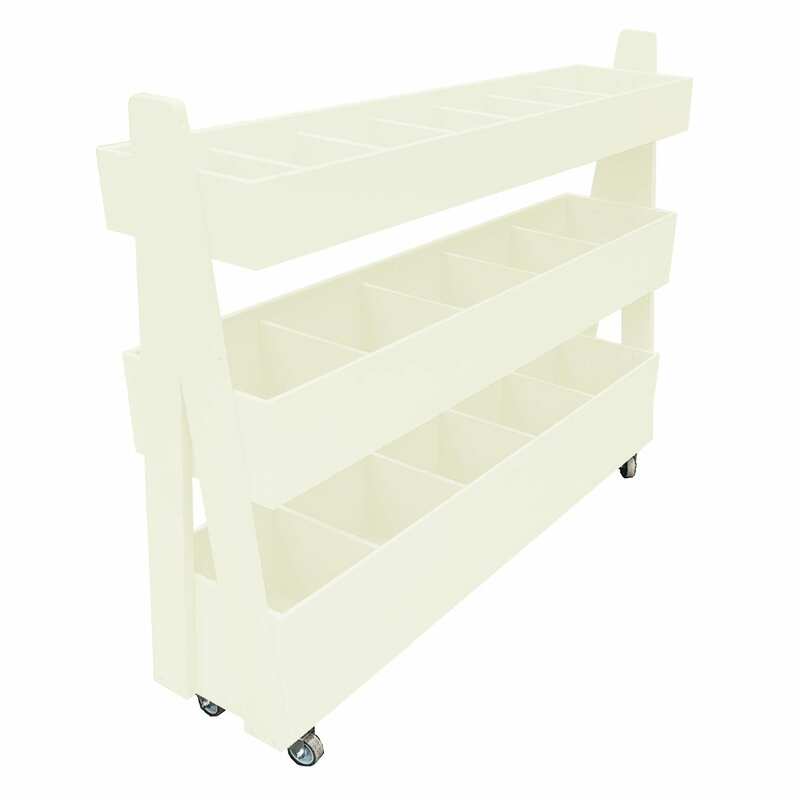 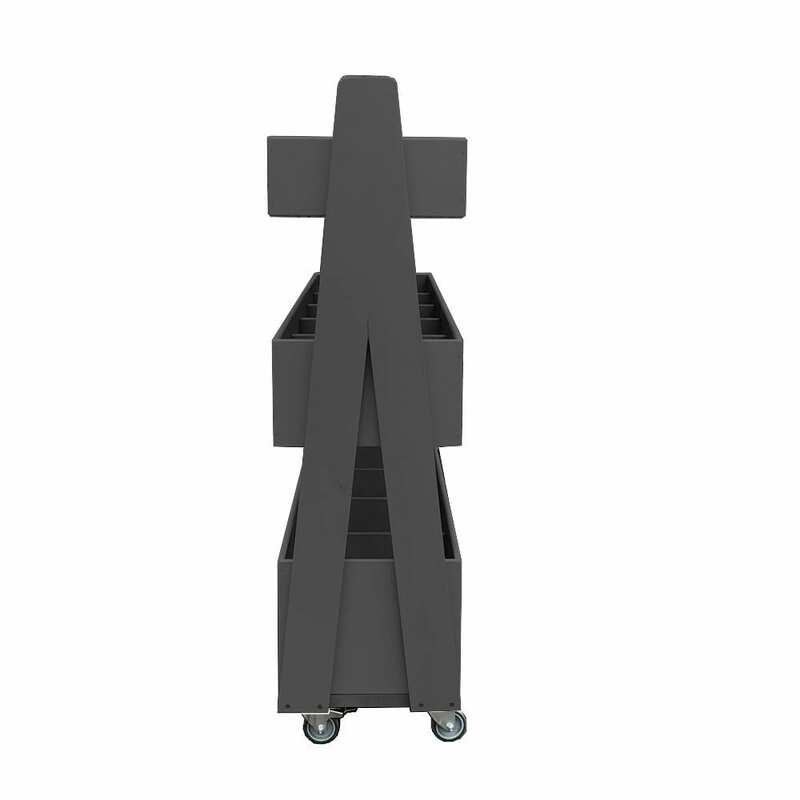 The Mobile Painted 3-Tier Queue Divider Display Stand 1200x260x940 has plenty of room for holding merchandise. 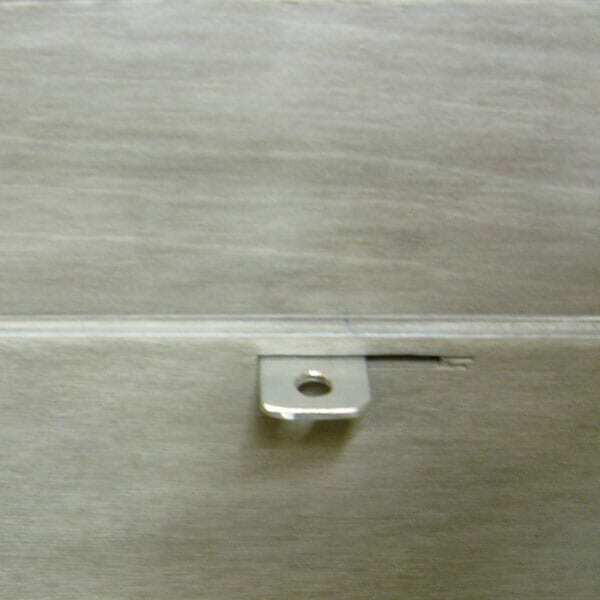 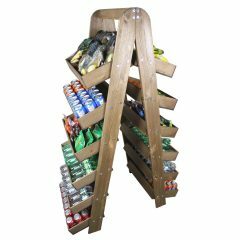 You can position it close to point of sale. 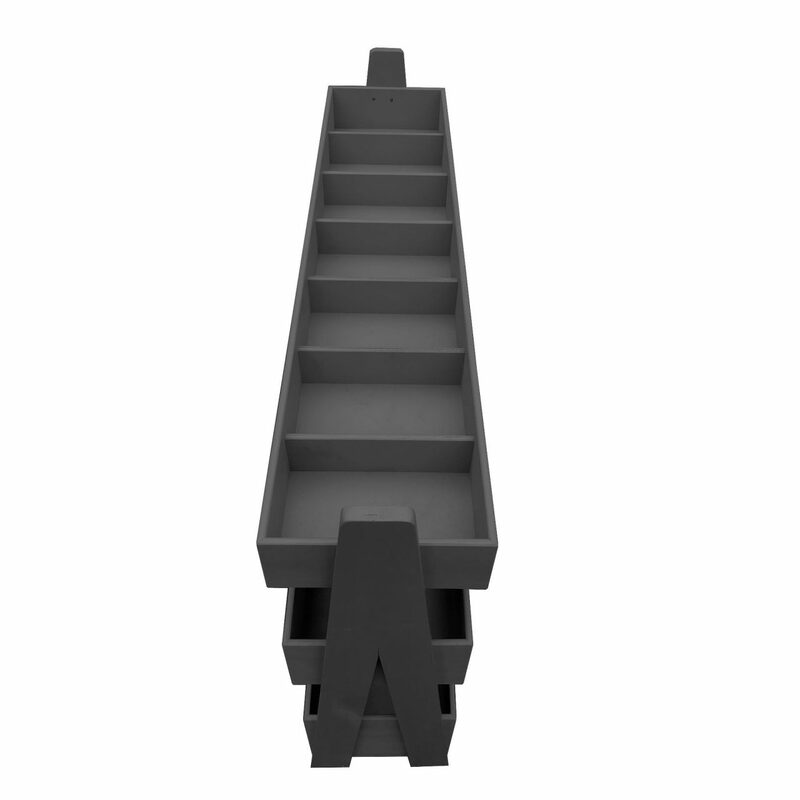 This queue divider has 7 top shelf compartments offering plenty of display space. 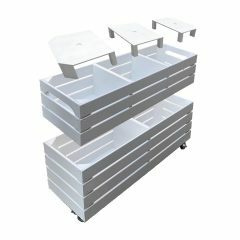 It also has a further 6 bins on the mid and lower shelves offering great capacity. 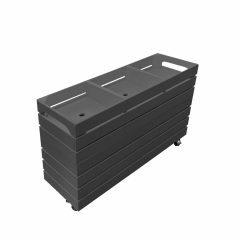 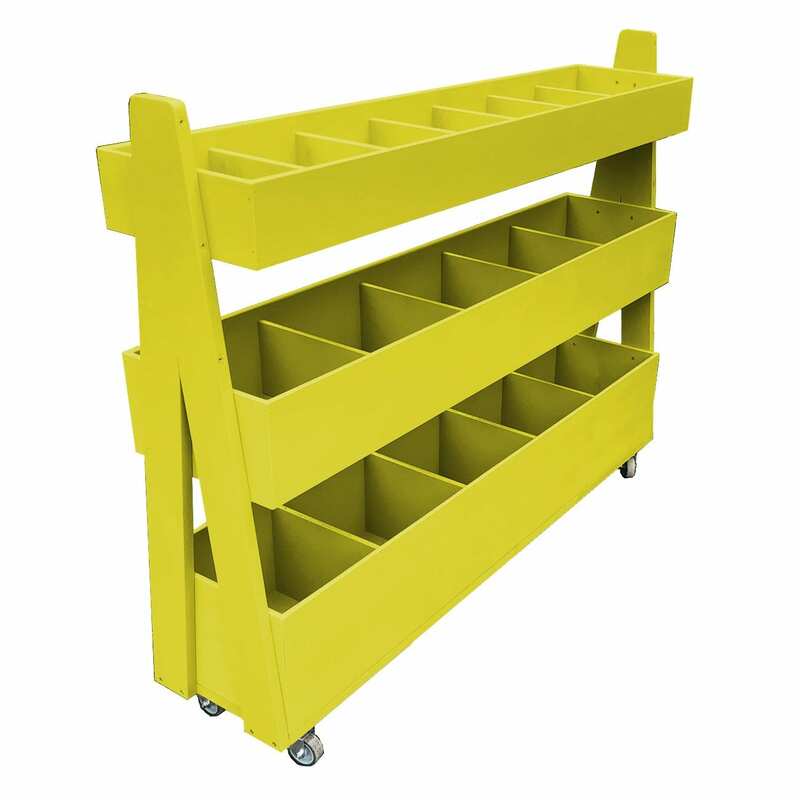 It is multi functional having a use as a queue divider as well and comes with a set of 4 casters of which 2 are lockable to maintain position. 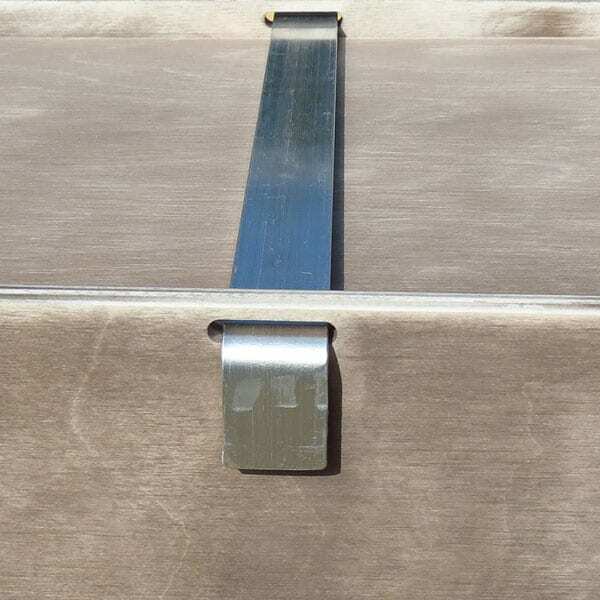 There are optional lockable lids for added security. 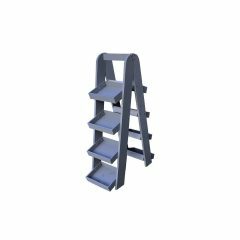 Alternative sizes available on request. 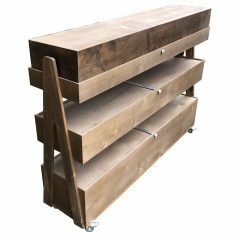 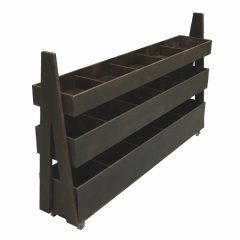 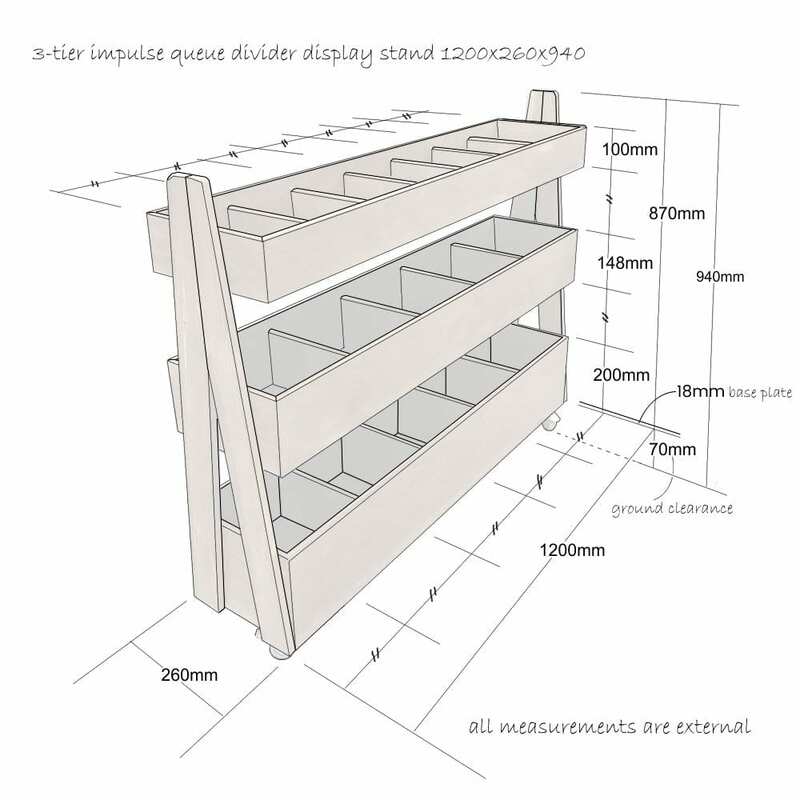 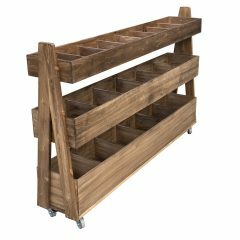 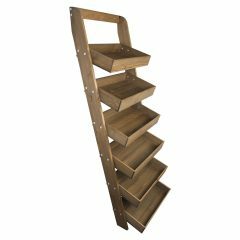 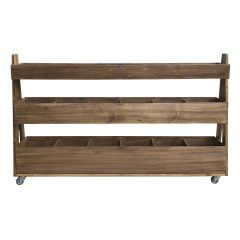 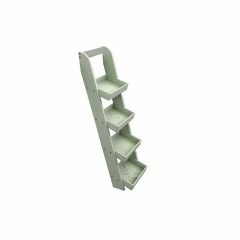 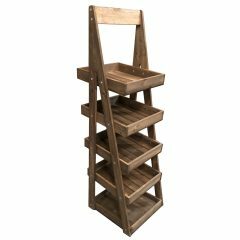 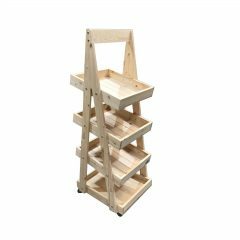 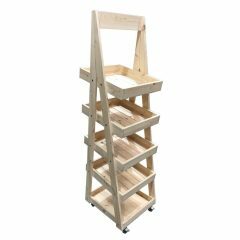 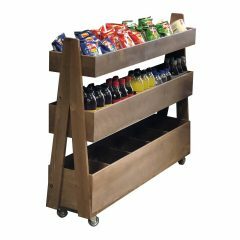 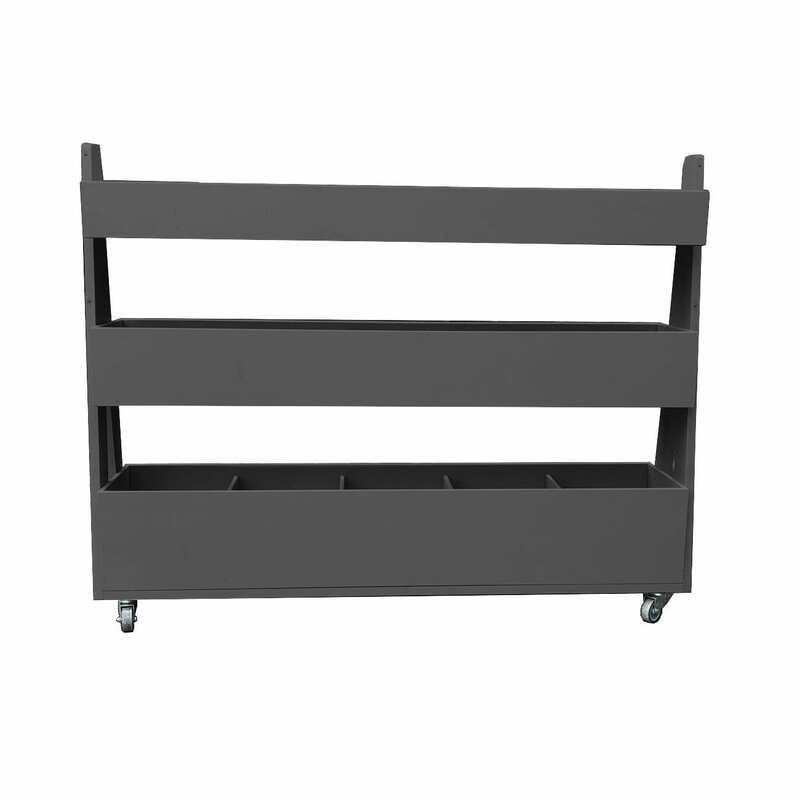 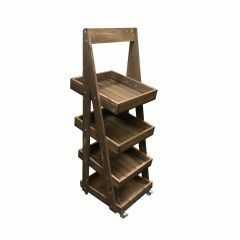 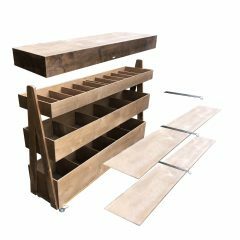 It is available in a selection of colours however if you prefer a more rustic design then our Rustic 3 Tier Merchandise Display Stand 1200x260x940 may be just what you are looking for.